Disclosure: My great-grandfather was in the movie business. That is, he owned and operated the Mission Theatre in Menard, a town on the edge of West Texas whose population peaked at 2,674 nearly six decades ago. The building has been mostly dormant for nearly 60 years, since he closed the theater in 1953. It flooded in 1980, and a decade later the roof collapsed. In the years before a new one could be put on, trees began to grow through the floor. That statement is music to the ears of Amy Barbee, the executive director at the Texas Cultural Trust, which is leading a push to redefine the state’s understanding of the role of the arts as a driver of economic growth, not just cultural niceties. With financial hardships making people keep their wallets snapped shut, and as the Legislature looks to scale back the state’s spending by up to $27 billion over the next two years, expenditures that are seen as luxuries may quickly be cut. Creative industries — from advertising to dance companies to book publishing — generate $4.5 billion per year in economic activity for Texas. To highlight that fact, the trust, in association with the Texas Commission on the Arts, is releasing a new report this week, prepared by TXP Inc., an Austin-based consulting firm, and paid for with federal stimulus dollars. “The Art of Economic Development,” as it is called, looks at five arts-driven economies in Texas. Austin’s many music festivals, Houston’s thriving theater scene and the Dallas Arts District are not among them. Instead, to provide models that any locality can follow no matter its size, the report features more unlikely communities like Amarillo, El Paso, Rockport, Texarkana and a tiny town in Bosque County in north central Texas that Barbee said might be Menard’s best model: Clifton, population 3,795. Clifton has served as the quiet home for a small, growing band of the state’s most respected Western artists since James Boren and Melvin Warren, a favorite of President Lyndon B. Johnson, moved there in the 1960s. Recently a coordinated effort that Volcansek describes as “picking the low-hanging fruit” has brought the arts decidedly to the fore. In its report, TXP estimates that approximately 20 percent of the tourism and visitor spending in Clifton is art and culture-related. In 2009, the report says, this directly generated $2.4 million in economic activity, $1.1 million in earnings and about 36 permanent jobs. 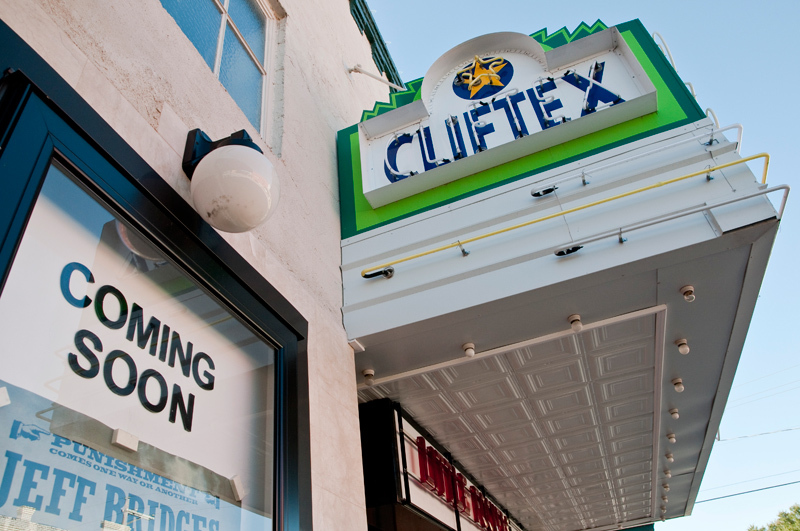 Clifton’s art scene is not immune to the economic crunch, though. Smokey Kettler, who runs a downtown gallery, said business had been slow. The thing about art, he said, is that “you can’t eat it, and you can’t put it in your gas tank.” To get by, Kettler runs a real estate office out of the same building. But other businesses are trying to leverage the arts indirectly. 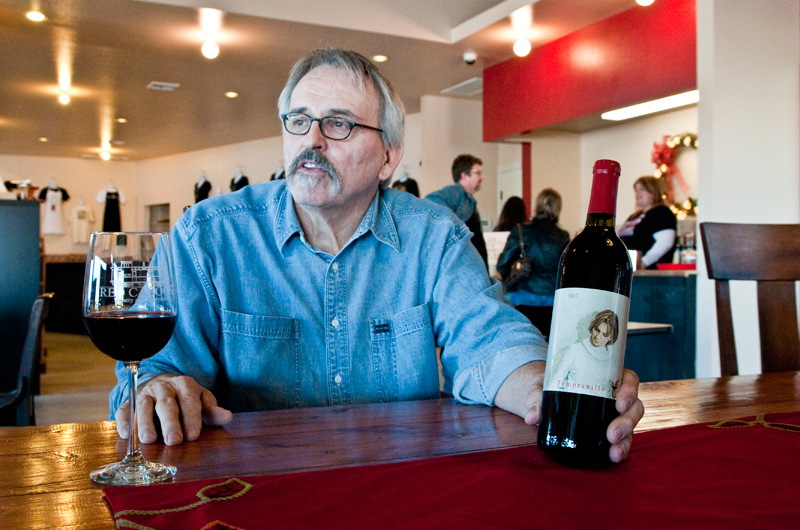 In January, Gary McKibben opened the Red Caboose Winery near downtown Clifton. He also has plans for a restaurant and a hotel, but that depends on the success of the wine business. He distinguishes his wine by labeling the bottles with paintings by local artists. “Not only will the wine have literal roots here,” he said. “We’re incorporating the local art and giving it a real regional, Clifton identity.” Now Clifton is in the process of taking its case to the state in hopes of being designated a Cultural District, of which there are currently 12 in the state — including two in Houston. “Can you imagine sitting and saying Clifton in the same breath with Houston?” Volcansek said. “Those are all the things that help us be stronger and more effective.” In 2005, the Texas Legislature passed a bill authored by state Rep. Larry Phillips, R-Sherman, that created the concept of Cultural Districts. It was just, as Phillips said, “base legislation” that did not come with any funding. The designation comes with recognition, a large dose of free advertising by the state and eligibility for certain grants from the Texas Commission on the Arts and the Texas Historical Commission. But the designation does not come with any state money. Carlton Schwab, president and chief executive of the Texas Economic Development Council, put it bluntly: getting the legislators to fork over more money for the arts, he said, “ain’t gonna happen.” Currently, Texas is ranked 46th in state funding by the National Assembly of State Arts Agencies. The draft budgets currently circulating in the Capitol, at first glance, appear to increase financing for the Texas Commission on the Arts. But that’s misleading, said Jim Bob McMillan, the commission’s deputy director, because the legislature’s appropriations have been increasingly supplemented by an endowment that was recently dissolved. While the draft budget looks like an increase, McMillan said, “it’s about half of what it was before. If it goes forward like we spend those dollars.” Specifically, money that the commission gets from the Texas Department of Transportation to promote tourism, which is currently used for the Cultural District initiative, would be lost. Ultimately, said Travis James, a vice president at TXP, the key for these communities lies in public-private partnerships between regional organizations. “Neither side can do it on their own,” he said. He cited Amarillo, where private donations exceeding $30 million helped build a new per- forming arts facility, the Globe-News Center, which is now run by the city. In 2009, the center generated $3.8 million in economic activity. Woody Hunt, an El Paso businessman whom Texas Monthly recently named one of the state’s 25 most powerful people, agreed. That’s what Kothmann hopes to bring to Menard. The Mission Theatre Restoration Foundation, she said, is just starting. REEVE HAMILTON writes for The Texas Tribune where this story was originally published. It is reprinted here through a news partnership between the Tribune and the San Marcos Mercury.